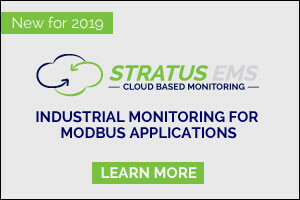 Modbus Capabilities: The Sentinel Pro monitors, delivers alarms and datalogs input/output points from third-party Modbus devices such as control panels, transducers and sensors. 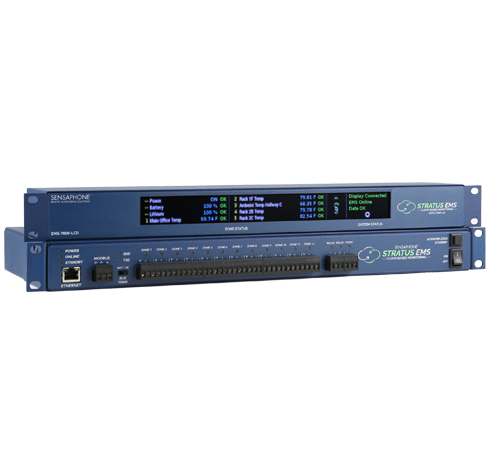 The device supports Modbus RTU/485 and Modbus TCP. 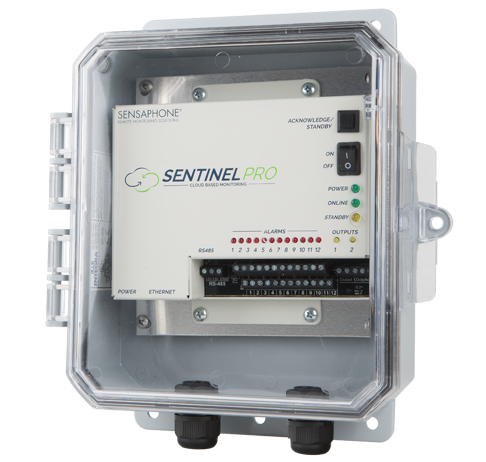 Added Features: Sentinel PRO is an enhanced version of the Sentinel cloud-based system, which includes a second relay output. The standard system is also available with a wireless cellular option for remote locations that do not have Internet access. Our new Temperature Sensor Display provides a local reading of it's temperature sensor. The Display also shows the high and low temperatures and can be programmed to sound an audible alarm when the temperature goes out of a preset range. The Display can also be attached to a Sensaphone for remote temperature readings, datalogging and alarming. 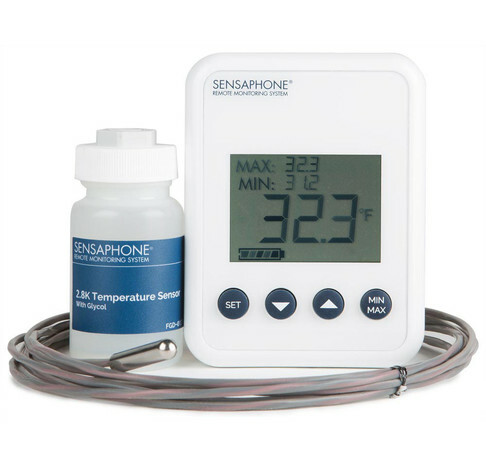 The Sensaphone Dual Flow and Temperature Sensor will measure and provide real time flow rates. When the flow rate falls outside of the Sensaphone’s programmed high or low limit, the user will receive an alarm which displays or reads the current flow rate. 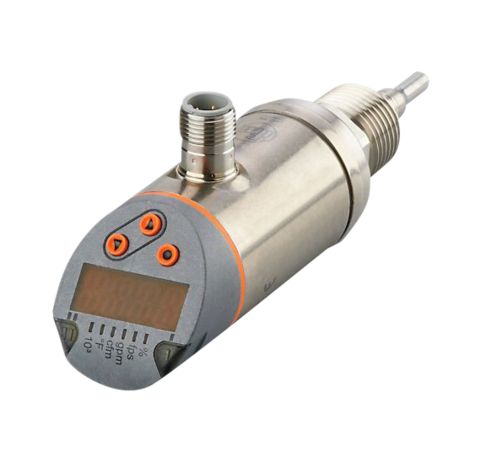 The sensor can be used to detect and measure the flow of oil, water, glycol and air in internal pipe diameters up to 10”. Hilton Garden Inn and Marriott Courtyard are two of the 11 well-known brands of more than 80 properties Arc Hospitality manages. Environmental factors impact a guests experience, so the properties strive to control ambient temperature and humidity in all interior rooms, hallways and group areas. 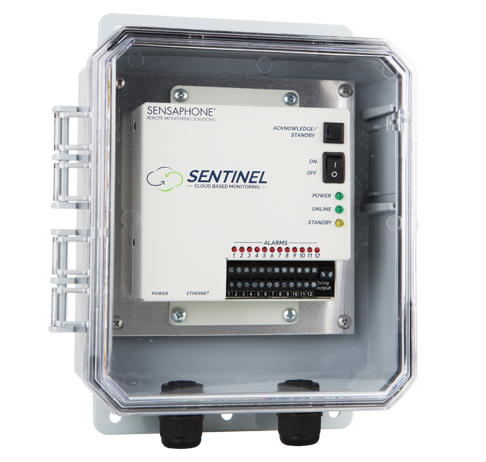 Sensaphone devices provide cold storage temperature monitoring for unattended commercial food freezers and refrigerators. The systems detect problems such as temperature changes, humidity fluctuations, water leaks, power failure, carbon monoxide and carbon dioxide levels and smoke. Unexpected events like power outages, falling temperatures, and equipment failures threaten greenhouse operations. Users can control and sense changes in environmental conditions and equipment failure that can save thousands of dollars in inventory, time and productivity. Download our free eBook to learn more. We've put Sensaphone to the test in just about every application imaginable. Water Treatment Facility - monitoring tank levels, power failure, turbidity, flow rates and more.